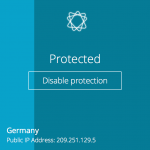 Read about the benefits of Hide.me VPN here, we have a full detailed Review for you..
Hide.Me is based off of Malaysia with a large German presence. Hide.Me strictly does not log any personal information to avoid legal liability. They do not track you and will never do. In other words, no log activities, as in ZERO. Hide.me VPN services give customers the top level security features and guaranteed anonymity that are required to surf the Internet in safety in the modern world. The Hide.me service was set up by Internet security experts to assure users achieve the highest levels of privacy available. The Hide.me servers are situated in 24 countries and are fully operated by the company, with no third party access and Hide.me guarantee the servers don’t store permanent records of IP addresses or keep any logs at all. For the consumer this guarantee is an ironclad assurance that there’s no possibility of user records being passed on to surveillance agencies or other government sources. The Snowden case has highlighted just how insecure the Internet can be and consumers with concerns of this nature will find them reflected within the Hide.me ethos. Hide.me is one of the few VPN providers to offer a completely free VPN service. 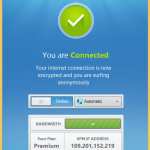 Although the free service only operates via two servers and gives one simultaneous connection, it is a great offer for anybody new to virtual private networking services who wants to securely encrypt Internet use. The free service does have limited data transfer capability and protocol support, however it’s a fantastic offer. Hide.me also give two different price plans, with a premium service which offers up to five simultaneous connections, port forwarding and full protocol support from 20 different server locations and a more basic plan at an economical price which does not give port forwarding and has data transfer limits in place. The basic plan only gives one simultaneous connection but does give unlimited bandwidth and full protocol support from all 20 locations. It only takes a few minutes to set up the Hide.me VPN service and it’s available for PC, Mac, tablet, Android or iPhone, with easy set up guides to ensure the devices are up and running as soon as possible. Customer support is available via email ticketing, through the useful community forum and a comprehensive FAQ section on the website answers many common user problems and queries. 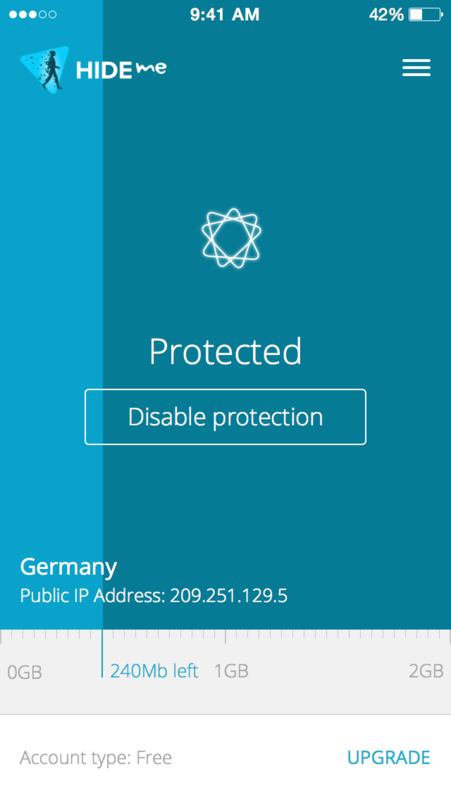 The Hide.me service supports all protocols and is the only VPN provider currently supporting IKEv2 protocol. No matter the reason for installing a virtual private network encrypted tunnel, the Hide.me service offers a decent free VPN, with two options on plans that can be purchased, assuring customers of security, anonymity and opportunities to unblock censored sites or fileshare with ease. 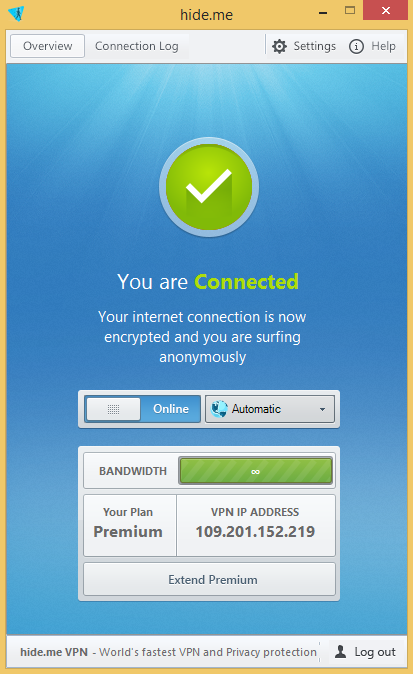 This is a pretty good vpn if you run windows but otherwise useless. They have been claiming to bring it to linux for a long time and have not. For a company that claims to care about privacy and market to people that surely do its funny they only offer it to folks running malware as an os…. I use hide.me on Linux with strongSwan. If you need to use GUI to setup VPN under linux then rather switch to windows. Or just follow this tutorial: https://community.hide.me/tutorials/ipsec-ikev2-with-strongswan-non-gui-method.43/ Hide worked for me really good, their free plan is enough for casual use. Also its very fast.